But the crowd that packed the Westport Country Playhouse barn Tuesday night enjoyed plenty of laughs — plus wine and food — as 4 women described the many highs and few lows of owning a local business. They ranged in age from 30s to 50s. They’ve been in operation from 20 years to just 1. Yet the quartet share joy in what they do, gratitude for the opportunity to do it — and a firm belief that Westport is a great place to pursue their dreams. 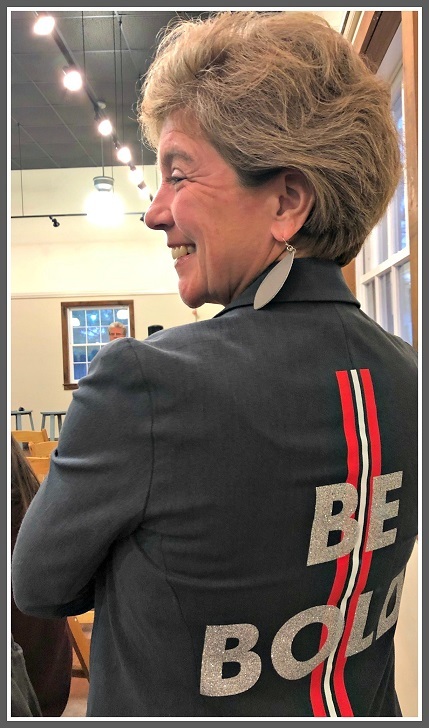 Second selectman Jennifer Tooker’s shirt motto — “Be Bold” — set the tone for the evening. The evening was sponsored by the Westport Library, with support from the town. Second selectman Jennifer Tooker moderated, with ease and grace. Julie Fountain and Dana Noorily — founders of The Granola Bar — are rock stars on the entrepreneurial scene. In 6 years they’ve gone from making desserts in their kitchens to owning 6 restaurants, here and in Westchester. Interrupting each other, finishing their partner’s sentences and laughing often, the pair talked candidly about the challenges women face, from banks to stereotypes. They even pulled the plug once before they started, then forged ahead after Dana’s husband encouraged them to follow their dream. 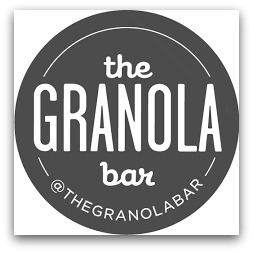 When a mentor suggested that their planned granola manufacturing facility include something in the “front of the house,” they did not know the term. Today they do. Proof of their success came a couple of weeks after they opened their first restaurant. It was filled with people they didn’t recognize. Their friends and family had supported them along the way — but now they had real customers. Julie and Dana are proud to be setting an example for their young children, as “stay around” — rather than “stay at home” — moms. As they grow their business, there will be more obstacles — family and professional — to overcome. But they’re confident, excited, and proud that their journey began in their home town. Jamie Camche has owned JL Rocks for 3 times as long: 18 years. Opening a jewelry store was a leap of faith. But her husband has supported her. She’s developed a strong and loyal clientele. She noted the importance of having local ties too. Jamie was on a buying trip in Europe last September, when heavy rains flooded her Post Road East store. Thankfully her landlord Mike Greenberg was there, hoisting buckets and bailing her out. He was at the Playhouse barn on Tuesday as well, supporting Jamie. Participants in the “Westport Means Business” event included (from left) Kitt Shapiro (West), Jamie Camche (JL Rocks), 2nd selectman Jennifer Tooker, and Dana Noorily and Julie Mountain (Granola Bar). Kitt Shapiro is 57. Yet she calls herself “the new kid on the block.” She’s owned West — the cool Post Road East clothing store — for only a year. She’s been a 20-year resident of Westport, though. Those ties propelled her “leap of faith” into something she’d never done before. “I feel so committed to this town, to small businesses, to being part of the tapestry of the community,” Kitt explained. “It’s my home. West is just around the corner from Main Street, on Post Road East. When Tooker asked for questions, an audience member wondered why none of the 4 businesses were on Main Street. “A town is more than Main Street,” Kitt added. Third selectman Melissa Kane agreed. Getting the word out about options beyond that small, chain-dominated stretch of downtown is important to retailers and town officials alike, she said. “We have not done a great job of that,” she admitted. “We need a professional initiative.” Kane said the town is working with a national wayfaring firm, developing signage and strategies to help residents as well as visitors realize the wealth of small, local businesses surrounding Main Street — and where to park, and walk to find them. Julie praised Westport officials from departments like Fire and Health, for making life easy for entrepreneurs. Westport is the easiest to work with, of their 6 locations (Westchester is the toughest). “The first health inspection could have been the scariest experience of our life. It wasn’t,” she said. 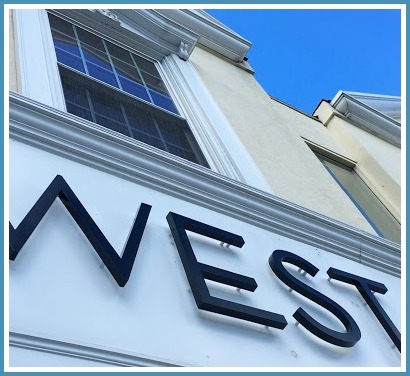 In her opening remarks Tooker noted that the town, library, Westport Downtown Merchants Association and Chamber of Commerce are all spreading the news: Westport is a great place to live, raise a family — and grow and launch a business. Or, as Julie Mountain, Dana Noorily, Jamie Camche and Kitt Shapiro reiterated: Westport is open for — and to — business. Hey, At Least It’s Not a Bank, Nail Salon Or Marijuana Dispensary!